A parliamentary report of 1777 recorded a parish workhouse in operation at Rottingdean for up to 17 inmates. Rodmell parish workhouse, located at the north-east of the village, is now part of a row of cottages. Rodmell former parish workhouse, 2004. County of Sussex: Bishopstone, Denton, East Blatchington, Falmer, Iford, Kingston, Newhaven (2), Ovingdean, Piddinghoe, Rodmell, Rottingdean (2), Southease, South Heighton, Stanmer, Tarring Neville, Telscombe. Later Additions: Peacehaven (from 1929). The population falling within the Union at the 1831 census had been 4,400 with parishes ranging in size from Tarring Neville (population 80) to Newhaven itself (904). The average annual poor-rate expenditure for the period 1832-35 had been £3,371 or 15s.4d. per head of the population. Newhaven Union workhouse was built in 1835 on Church Hill in Newhaven. The Poor Law Commissioners authorised an expenditure of £3,300 on construction of the building which was to accommodate up to 150 inmates. It was designed by Sampson Kempthorne who designed many other early Union workhouses including ones at Ticehurst and Hastings. His design for Newhaven was somewhat unusual with its main building having the appearance of a solid square block, three storeys in height, and facing to the north-east. There were wings to each side and smaller blocks to the rear. In around 1900, a two-storey infirmary was added at the north-east of the workhouse. The site location and layout are shown on the 1908 map below. 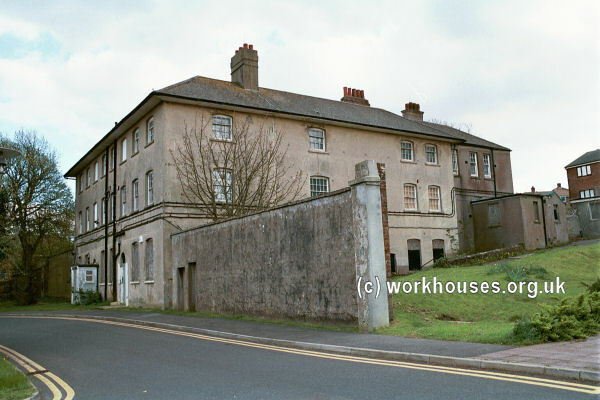 Former Newhaven Union workhouse from the east, 2001. 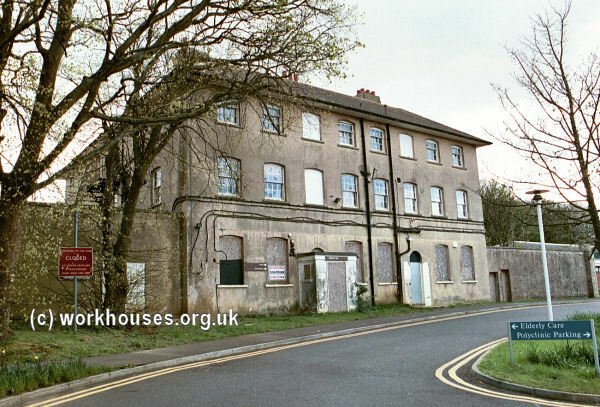 Former Newhaven Union workhouse from the north, 2001. 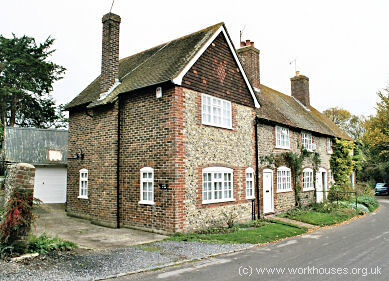 Former Newhaven Union workhouse from the south, 2001. As well as the main building, a small single-storey block of unknown function survives to its west. 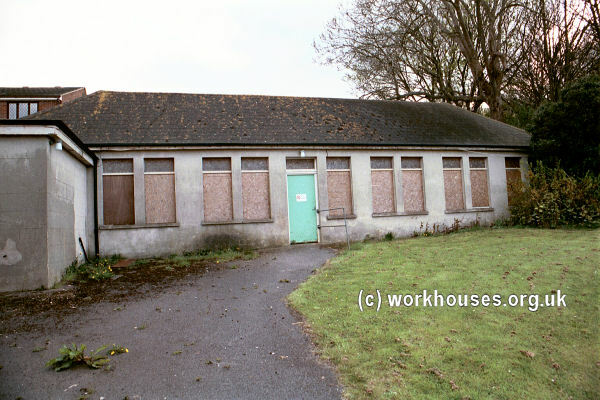 Former Newhaven Union workhouse external block, 2001. Newhaven workhouse later became Newhaven Downs Hospital. 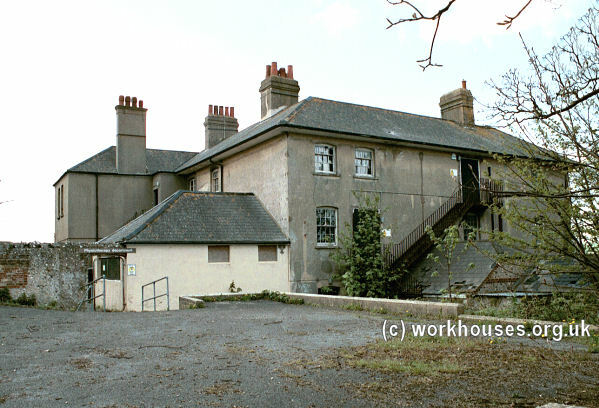 In recent times, the former workhouse building has been occupied by the Newhaven Polyclinic and Rehabilitation Centre. East Sussex Record Office, The Keep, Woollards Way, Brighton, BN1 9BP. Holdings include Guardians' minutes (1835-1930); Admissions and discharges (1836-1930); Births register (1866-1930); Deaths register (1836-1930); Creed register (1895-1930); Master's records (1896-1930); Paupers' friends register (1899-1930); etc. Gaston, Harry (1997) Out of the Shadows; a History of Newhaven Downs, 1836-1996 (South Downs Health NHS Trust).